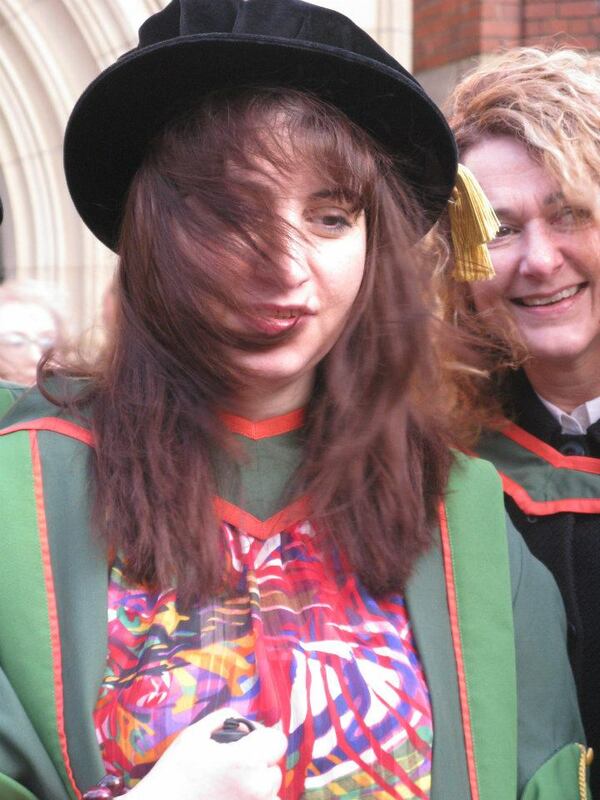 Following the completion of the MA, I embarked on a PhD programme. Doing research and the write up of the thesis confronted me with many new challenges, such as the high cost of funding my support hours and lack of an accessible computer with appropriate reading software in the PhD student office. As an international student, funding all my courses presented a significant obstacle, which was very difficult to overcome. I spent a great deal of time applying for funding to various sources, mostly to receive rejection letters. This process affected my health, and as a result I had to apply for periods of suspension from studies, hence delaying the completion of the PhD. These barriers in turn informed my PhD research and enriched the study. I was a member of the organising committee for a postgraduate conference in the Centre for Disability Studies at the University of Leeds in May 2007, and worked effectively with a dedicated team to make sure that the conference ran as smoothly as possible. Following the conference, I was also part of a team who edited a book containing a selection of the conference papers entitled ‘Disability Studies: Emerging Insights and Perspectives’ in 2008. Moreover, in my role as the Equal Opportunity Officer on the National Postgraduate Committee, I extended my commitment to inclusive education practices to students with other minority statuses such as postgraduates or those who identify themselves as having minority ethnic backgrounds. These events were not only a good training opportunity for school, university and union staff, but also helped me in improving my presentation and training skills. I completed my PhD research in Disability Studies in December 2011, at University of Leeds, Centre for Disability Studies, publishing my thesis ‘A qualitative study of the experiences of disabled international students in English universities’. Using qualitative methods of focus group and semi-structured interviews, I investigated the experiences of disabled international students at 11 British universities in several different areas: information; access and funding; disability services; learning and teaching; and non-disability support services including accommodation and social life. Subsequently, using the social model of disability, I identified a range of barriers in participants’ university life, in particular those pertaining to education, disability and physical environment. I also examined legislation such as the Special Educational Needs and Disability Act (SENDA) (2001), Equality Act (EA) (2010), as well as initiatives such as Disability Equality Duty (DED) (2006), and available national and local policy in relation to each of the aforementioned categories. By analysing university and national documents and websites, I extensively discussed educational organisations’ policies both in theory and practice. As a disabled international student myself, I examined how the participants’ double or sometimes multiple identities (disabled, international and often mature students) disadvantaged them further and how they might have felt empowered from inclusive education practices. In concluding the thesis, I proposed a list of insights related to inclusive educational practices for individuals, Higher Education Institutions and policy advisors, and made a meaningful contribution to debates both within the disciplines of Disability Studies and Education, thereby enriching both fields.